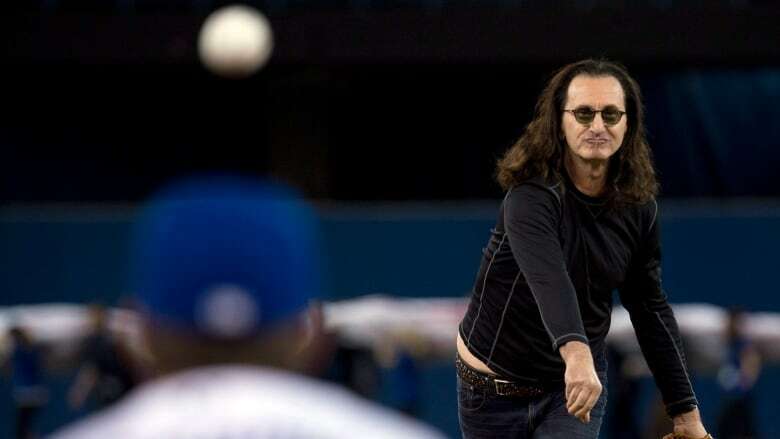 The Rush frontman is a well-known fan of the Blue Jays, in addition to being a world-famous rock star. If you've watched enough Blue Jays baseball on television, you've probably seen a shot of a famous Canadian rock star sitting close to the action at the Rogers Centre. That would be Geddy Lee, the lead singer and bassist for Rush. Lee, who turns 65 on July 29, is a familiar face at the stadium, where he can often be seen catching ballgames from a seat behind home plate. He's even thrown out the first pitch on Opening Day. Rush fans will recognize the sound of The Spirit of Radio being played at times during the game as well. In 1996, Lee talked with the CBC's Daniel Richler about his love of the game — at one point revealing his affinity for seeing baseball played on actual grass, unlike the artificial turf in Toronto. Lee's baseball and Blue Jays fandom has also popped up in other media on occasion, as well. In May of 1992, the Star had a story about whether the Jays had supplanted the Leafs as Toronto's top team. Lee, apparently, faxed in a response — "Yes!" — from overseas where he was on tour. And fair enough, the team went on to win the first of its back-to-back World Series championships that fall. After the end of the baseball season in 2014, he talked to Rolling Stone about the Jays and what they needed to do for the upcoming season. "I'd like to see them get a true ace for their staff," Lee told the magazine. It seems the team followed his advice months later when making a trade-deadline deal for David Price, which helped the Jays end their two-decade-long playoff drought.